The ultimate personal care kit. 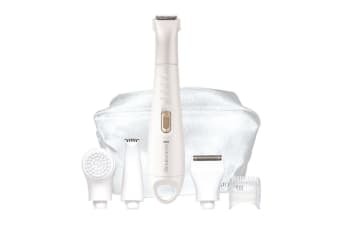 Experience the ultimate grooming experience with the Remington Trim & Shave Ultimate Body & Bikini Kit. The kit is 100% waterproof for an easy and comfortable groom in the bath or shower. 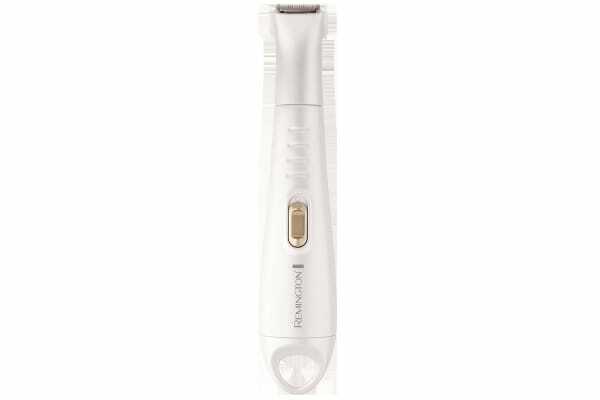 Featuring long lasting cordless operation, you have up to 30 minutes of cordless run-time for added convenience. 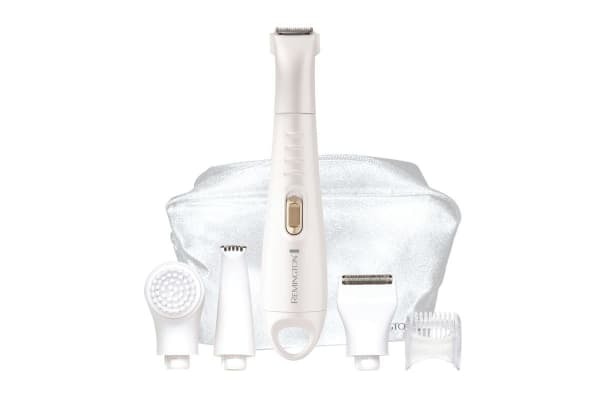 The Remington Trim & Shave Ultimate Body & Bikini Kit comes with six accessories including an exfoliating head to remove dead skin cells to prevent ingrown hairs. The precision bikini trimmer, hypoallergenic mini foil shaver, adjustable length comb with 3 length settings (2-6mm), detail trimmer and exfoliating head are absolutely interchangeable. It comes with a storage bag to hold and carry the items easily.